Elliptic Labs’ virtual sensors and gesture-sensing technology continues to disrupt the consumer electronics market. Elliptic Labs has a global presence with offices in the United States, Europe, and Asia. 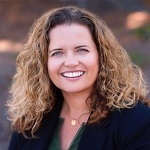 To learn more about this company, see our recent interview with its CEO, Laila Danielsen. Q: Could you provide our readers with a brief introduction to Elliptic Labs? A: Elliptic Labs is a global company that creates intelligent virtual sensors. OEMs use our software-only AI Virtual Smart Sensors Platform to enhance the capabilities of their devices, particularly in the smartphone and IoT markets. All of the products in our platform utilize ultrasound to provide their various capabilities. For example, smartphone manufacturers use our INNER BEAUTY® Virtual Proximity Sensor to disrupt traditional phone design by replacing the phone’s hardware proximity sensor with our ultrasound software. This allows OEMs such as Xiaomi and Smartisan to fully extend their phone’s screen all the way to the top of the phone – no notch, no bezel. Our AI virtual sensors also recognize user gestures, enabling consumers to do things like double-tap the air to take a picture or to start/stop music. This provides a faster and more natural interaction interface than either voice control or touch. At Elliptic Labs, we create sensors that offer the best combination of features—including a 180-degree interaction space, high precision, low power consumption, and underlying AI algorithms. 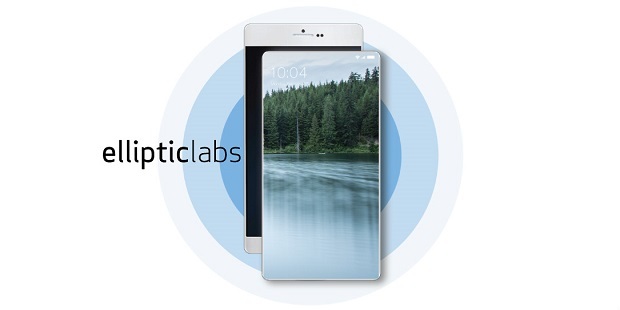 Elliptic Labs has headquarters in Norway and offices in the USA, China, and Korea. Q: I read something about your partnership with Qualcomm. How do you work together and where do you see the relationship going? A: Elliptic Labs and Qualcomm have a synergistic relationship that utilizes our AI Virtual Smart Sensors Platform in conjunction with their chipsets and hardware. As more and more OEMs seek to replace common hardware sensors with virtual smart sensors, they can benefit both from Qualcomm chips and from our virtual sensor technology. We are Qualcomm’s only AI software sensor partner and as such run natively on their Snapdragon chipsets. Q: Can you give us insights into your products? What are the benefits of ultrasound compared to optical and electromagnetic technologies? And how does it work? A: At Elliptic Labs, we combine ultrasound with other sensor output, machine learning, and other AI algorithms to produce a smart, software-only virtual sensor. This software-only approach offers several key benefits for OEMs. First, it simplifies the supply chain by eliminating the need for hardware (e.g. infrared optical sensors). This reduces component cost as well as required space, resulting in greater customer profit, end-user savings, and design flexibility. In addition, our software provides increased benefits such as reliable performance in any lighting condition, increased field of view, and lower power needs compared to traditional optical hardware sensors. It is non-intrusive and stores no personal data (unlike cameras), providing enhanced user privacy as well. A great example of just how revolutionary our virtual smart sensors can be for our customers is Xiaomi. Intrigued by the design freedom INNER BEAUTY offered (such as the ability to remove bezels previously needed by standard hardware components), Xiaomi created the trend-setting, bezel-less Mi MIX phone in 2016. Prior to working with us, they were only selling about 50 million phones a year. Now thanks to the popularity of the Mi MIX (currently in its second generation), they expect to sell 150 million units in 2018 alone. We also see opportunities for products that combine machine learning with sensor fusion. Many companies are interested in our forthcoming service to optimize virtual sensor output using machine learning via the cloud. This will further reduce OEM costs and provide customized improvements to a user experience. Our AI Virtual Smart Sensors Platform provides “cool,” differentiating features that draws consumer attention. Many OEMs are in discussions with us to include our platform in their phones. We are also engaging in the smart speaker market with software that provides presence and gesture control. Xiaomi, one of our closest partners, is one of the top two smart-speaker vendors in China.